You just finished teaching your American History class. You slam-dunked a lecture on the transcontinental railroad’s influence on national commerce, communication, and territorial expansion. Students nodded, took vigorous notes, and were eager to participate in a lively discussion following your lecture. It was a good class. 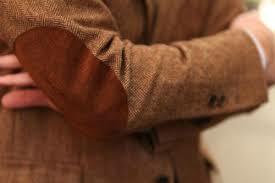 You think to yourself: tweed blazers with elbow-patches do help you scrutinize the past and question mainstream ideas more effectively. As you make a note to add more iron-on patches to your shopping cart on Amazon, you see a particularly eager student waiting to catch your attention after class. This student–probably two weeks shy of declaring a history major–stays behind to tell you about her family’s connection to the U.S. railroad industry. As you wipe the dry eraseboard clean, she draws insightful connections between your lecture and her family’s experience in Tennessee. Apparently, this student’s family owned a company that helped establish, build, and expand railroad lines in the region in the 1880s. She’s excited about the connection. She wants to understand her family’s influence on railroad growth in a broader historical context. She’s eager to use the research tools you’ve helped her cultivate. You know, there might just be elbow-patches in her future. Let me rephrase. It’s not a question of what you want, exactly. You care about the student’s development as a writer, and you don’t question their ability to make a convincing historical argument. Rather, this student’s project presents a genre problem. An 8-page research essay on a Tennessee railroad, regional geography, and national commerce could indeed be compelling (hell, I’d read it). Academic prose, however, might not be the most appropriate genre for communicating geographical expansion over time; papers are an inherently limited, linear format. This research is perfectly suited for something more dynamic–like a digital map. 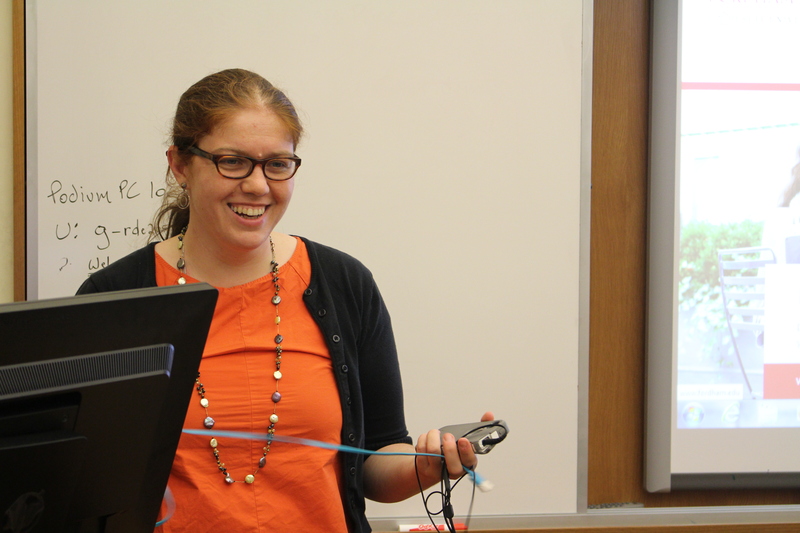 Anelise H. Shrout, Postdoctoral Fellow in Digital Studies, shared an experience similar to this in her workshop on Digital Pedagogy on Friday, October 16th. In this session, Shrout encouraged an interdisciplinary group of Fordham graduate students and staff to thoughtfully integrate digital assignments into undergraduate courses. Not only are some assignments better suited for digital media, but, according to Shrout, an online publication platform will give student work a life beyond the classroom. Student research doesn’t have to be limited to a conversation at the dry eraseboard or a document, stapled with one-inch margins. For example, if the aforementioned student created a Neatline map that tracked the growth of their family’s railroad over time, she could share her final product with her family and circulate it to people within the region of influence. Encouraging students to share the fruits of their research with people outside of academia might just spark intellectual curiosity and critical thinking in the vast elsewhere incorporated by the internet. Believe me, as a kid who grew up with spotty dial-up in the middle of nowhere, access and exposure to quality humanistic work can be transformative. And, yes, I’ll go there: if we are truly committed to “the discovery of Wisdom and the transmission of Learning” as our Jesuit mission would suggest, incorporating digital pedagogy can do a world of good. Bringing computer power to old questions does not water-down the values humanists hold dear. Instead, digital innovation can help breathe new life into our teaching and research. As Shrout puts it, computers can help free up brain space for us and give us more mental energy to tackle big questions. Why not help our students understand humanistic inquiry through, against, and alongside the digital media that binds many of our social networks together? Throughout the workshop, Shrout offered useful insights on evaluation and implementation of digital projects based on her extensive experience. She warned teachers that the guidelines need to be clear and evaluation must be explicit and fair. Even if you free yourself from the mountain of three-paragraph essays, you face new obstacles of evaluation. As someone who has enthusiastically embraced digital research and pedagogy, I’m with Shrout–I think these obstacles are worth taking on. Solving fascinating problems is the first element of the “hacker attitude” as defined by Raymond in his essay “How to Be a Hacker.” The essay is freely available (not an unimportant point, as we will see in future posts) online at: http://www.catb.org/esr/faqs/hacker-howto.html. Raymond’s essay contains practical wisdom for coders and people interested in computer work. It also has much practical wisdom for graduate students and instructors, particularly, I would argue, those of us in Jesuit surroundings. For the moment, I will simply introduce Raymond’s five aspects of the “Hacker attitude.” Before I explain what each of these has meant to me in a Jesuit context, I think it would be a good idea for readers to reflect on whether or not these ideas readily map onto whatever they think the corresponding “Jesuit attitude” would look like. The required reading for you—and only a blog post on Jesuit pedagogy would begin with required reading—is Raymond’s essay. Over the next few posts, I plan to explain what we, as graduate students and educators at a Jesuit institution, can learn from computing culture and I will start by elaborating on each of the five points above. I think there will be real benefits from us all adopting, at least in some part, the role of “Jesuit hacker.” It is my suspicion that Raymond’s essay, in addition to other foundational works on hacker culture which I plan to discuss in future posts, will be unfamiliar to average graduate student in the humanities. I hope that this interdisciplinary clash inspire new ideas and approaches and lead to a deeper understanding of the “digital” side of digital humanities.